The Draft Electoral Code of the Republic of Armenia was adopted by the National Assembly of Armenia in its third reading on 25 May 2016. - This is very disappointing, taking into consideration all the domestic and international organisations which have criticized the proposed amendments, said Lene Wetteland, senior adviser for Armenia in the Norwegian Helsinki Committee. «In its current form it will significantly limit the effective monitoring of elections and referenda in Armenia, only 6 months after the referendum on constitutional amendments received substantial criticism and illustrated the need for such monitoring. We support the call for immediate amendments to the Draft Electoral Law published by Armenian organisations yesterday,» Wetteland concluded. 1. The requirement for special registration of a number of election related documents (ballot papers, stubs, ballot envelops) has been abolished, while it was possible to reveal ballot box stuffing and “carousel” voting through observation of their irregularities. In addition, there is no longer an obligation for voters to sign the voter lists, which enables to find out false signatures, missing signatures and multiple voting. It is still impossible for observers and mass media representatives to observe voter lists and independently make extracts during voting process, summing up the results and/or recounting (article 32, part 1, point 3). Despite the recommendations of Venice Commission and OSCE/ODIHR, real mechanisms providing access to signed voter lists failed to find reflection in the Code, instead the existing mechanisms were abolished. 2. In order to act as local observation mission during elections NGO may accredit its representatives if its charter objectives include issues related to democracy and protection of human rights for at least one year (article 30, part 1, point 2) and the entity carrying out media activities may accredit its representatives, if it has been disseminating on its behalf mass media for at least one year (article 31, part 8). Moreover, the final requirement shall not apply where the entity carrying out media activities disseminates mass media through terrestrial on-air broadcasting. The threshold restrictions conditioned by their experience of activity do not follow any lawful purpose, are not needed in democratic societies and violate freedom of expression, and freedom to seek, receive and disseminate information and ideas of NGOs and mass media representatives. The differentiated approach applied against certain groups of media is an obvious discrimination in favor of terrestrial on-air broadcasting media. 3. The local NGOs shall still receive certificates to carry out observation mission after they pass a test (article 32, part 1, point 1), whereas international organizations have repeatedly raised the issue that testing of observers should not be mandatory or prerequisite for accreditation. This is a serious obstacle for the NGOs who intend to carry out election observation mission, since the accreditation process implies additional administrative, organizational and financial burden. On the other hand, the quality of observation mission matters for the organization, and it shall not be regulated by the state and electoral legislation. 4. It is the first time in the history of the development of the electoral legislation of Armenia that accreditation institute is set up for the representatives of mass media to conduct coverage of elections (article 31, part 8). Moreover, another restriction is stipulated besides the mentioned one year activity threshold, i.e. each entity carrying out media activities may accredit to the Central Electoral Commission no more than 50 representatives of only one mass media disseminated on its behalf. If there are nearly 2000 precincts in the republic such restriction for mass media representatives may imply creation of artificial barriers to the opportunities to conduct coverage of all precincts by the same media. 5. The electoral commission shall be entitled by the Draft to limit the total number of observers and mass media representatives having the right to be in the voting room at the same time, this number may not be less than 15. Moreover, this restriction does not extend on the representatives of terrestrial on-air broadcasting television companies (article 65, part 8), which is also a manifestation of serious discrimination against the mass media that observe the electoral process. More serious concern is caused by the mechanism of exercising restriction conditioned by the provision according to which total number of observers and mass media representatives is limited upon a decision adopted by 2/3 of the votes of attending members. In case of impossibility to make such decision it shall be ensured with the support of the police, upon request of the chairperson of the electoral commission. It should be mentioned that the authority to make decision by 2/3 of the votes of attending election commission members is obviously formalistic, since in the end it is the commission chairperson who has the authority to limit the number of observers and mass media representatives with the support of the police. Moreover, the principles and standards are not set up for the commissions to allow the observers and mass media representatives to be present in the precincts or to remove them, which means that these restrictions shall be applied arbitrarily. On the other hand, such restriction is also illogical, since the organizations pass a certain process and are accredited by a state body in order to carry out election observation mission. However, it turns out that accreditation is not a sufficient guarantee for a representative of NGO with a status of local observers to enter the precinct on the day of election and carry out his/her mission of monitoring elections. 6. The Draft Electoral Code does not enable the observer any more to come up with requirement or recommendation for elimination of the electoral violation to the chairperson of the commission, draw his/her attention on the violations and ask questions. This is a serious setback not only regarding the legislation in force but also the initial version of the draft which implies neutralization of observer’s role and significance on the whole. 7. The guarantees of legal protection of the observers when they are in the polling station have been largely weakened by the Draft. If according to the legal regulation in force the observer may be removed from the precinct only in case of arrest or detention, according to the draft the chairperson of the electoral commission may remove the observer from the sitting of the commission, and from the polling station on the voting day, upon a decision adopted by 2/3 of the votes of attending members of the electoral commission in case an observer supports a candidate, political party running in elections, violates the requirements of this Code (article 31, part 5). This is uncontrollably wide authority granted to electoral commissions, which may be abused given Armenia’s practice, by removing undesirable observers from the polling stations through arbitrary decisions of the commissions to keep the voting process away from public oversight. It should also be noted that by the adopted version of the draft this authority of the commission shall be extended on mass media representatives as well. That is, mass media representative may be removed from the sitting of the commission, and from the polling station on the voting day, upon a decision adopted by 2/3 of the votes of attending members of the electoral commission in case they consider that the latter has violated the requirements of the Electoral Code. By this statement, we, the below signed organizations, express our deep concern about the content of the Draft Electoral Code adopted by National Assembly and in particular, on the legal regulations regarding public oversight. 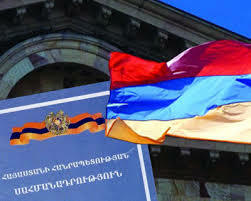 We record that the Draft Electoral Code of Armenia significantly restricts the rights of observers and mass media representatives, stipulated by articles 29 and 42 of the Constitution of Armenia and article 10 of European Convention on Human Rights; contradicts the recommendations made by Venice Commission and OSCE/ODIHR and is a significant setback compared with the legislation in force. We find that by continuing to deprive citizens of their opportunity to public oversight, the authorities only deepen the doubts and mistrust of the credibility of the provided elections. Alienation of the public from the process of public oversight from the very beginning casts doubts on legitimacy of the election results and lead to final breaking off the dialogue between the people and the state. For public expectations not to be completely vanished on electoral system we demand that amendments be immediately made in the Draft Electoral Law in view of the requirements of respective international structures and Armenia’s civil society by ensuring safeguards for proper public oversight. We emphasize that providing public access to the signed voter lists and giving opportunity to all the citizens of the Republic of Armenia to be engaged in the public oversight process of the elections is indispensable for gaining vast public trust in the electoral processes. P.S. We would like to state that the representatives of this group of civil society have not authorized any political force and government body or their representatives to take part in discussions or negotiations on our behalf, reach consensus of make statements. Populisme eller demokrati – kva blir det neste for Armenia etter det vellukka valet? Read article "Populisme eller demokrati – kva blir det neste for Armenia etter det vellukka valet?" Read article "Å følge Europas nyeste demokrati"
Read article "Fem valg du bør merke deg"
Read article "Domestic observers find elections non-free and accompanied by wide-spread control of voters"
Read article "Sunday’s «elections» in Turkmenistan cannot be called honest, transparent and fair"